The windows style you choose can affect the look of the room and the entire house. Windows should be both functional and attractive and when selecting them for a new home or as part of a remodel you should take into consideration how they will look from both the inside and the outside. Architectural windows make a unique statement or can be and odd shaped window for a small or odd shaped opening. 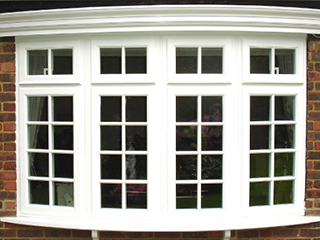 Architectural windows can be bought in different shapes or specially made to fit a special size. Architectural windows come in many different shapes: semi circle, circle, arch, elliptical, oval, octagon or any other shape that is not a rectangle or square. They are available in aluminum, wood, fiberglass, vinyl or clad. Double hung windows are the popular choice for homeowners. They are made of two panes that can be raised from the bottom or lowered from the top to allow air to circulate from one-half of the window. They are easy to use and easy to clean, but can allow more air to escape through the cracks than other types of windows. Double hung windows are available in fiberglass, vinyl, wood or aluminum. They are available in different colors or stained shades of wood from different manufactures. Most double hung windows are made of energy efficient glass and other materials. Casement windows open like an entry door. They have one pane and a hinge on the side. They are opened with a crank. 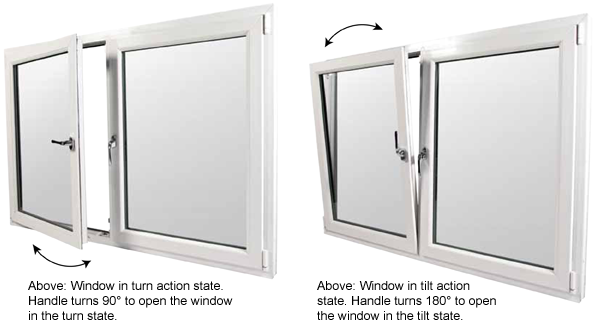 These windows are available in a variety of sizes and provide a lot of ventilation. They need special care due to the crank and the weight of the entire window pressing on the lower hinge. Casement windows can be made of vinyl, fiberglass, wood, aluminum, clad or steel. They are available in a variety of colors from different manufacturers. 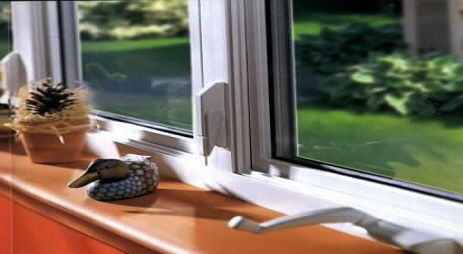 Because the window must be closed with the crank, this ensures a tight seal and minimal air loss. Garden windows stick out slightly from the wall. They allow more light in and make the room look bigger from the inside. They are shaped like a box with glass on the top and sides. They are similar in looks to a bay window, but on a smaller scale. They are good for kitchens and an excellent place to grow plants indoors.